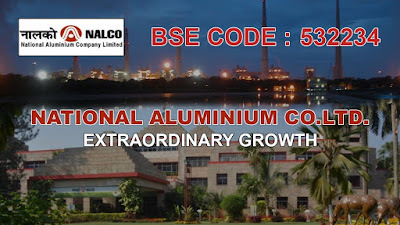 See and read the forum clients remarks on NALCO on 31/3/2019. US China trade talk very positive statement is come out from both countries.. Final & positive result will come next week.. Next meeting date 3rd april... In this very positive note Monday ll show all metal sector. Minimum 10-12% upside in hindalco within 2-3days.massive upside is pending in metal stock. Hold long & buy for great returns. Following the optimism of US-China talks, metal counters have shown some handsome gains with Nifty Metal jumping over 2 percent led by gains from Jindal Steel & Power which jumped close to 10 percent after spurt in volume by more than 2.87 times. This was followed by Hindalco Industries, JSW Steel, NALCO, SAIL and Tata Steel. Following the optimism of US-China talks, metal counters have shown some handsome gains with Nifty Metal jumping over 2 percent led by gains from Jindal Steel & Power which jumped close to 10 percent after spurt in volume by more than 2.87 times. This was followed by Hindalco Industries, JSW Steel, NALCO, SAIL and Tata Steel. The S&P BSE Metal also added couple of precent led by JSPL, SAIL, NALCO, NMDC, Vedanta, Tata Steel, JSW Steel, Hindalco and Hindustan Zinc.